A proposed blend of the two paint makers could produce colourful cost savings. That must mean job losses – and Akzo is the less efficient. Yet the $23 bln Dutch group deflected a bid from PPG saying cuts were a no-go. It’s hard to see how it could do the requisite U-turn now. 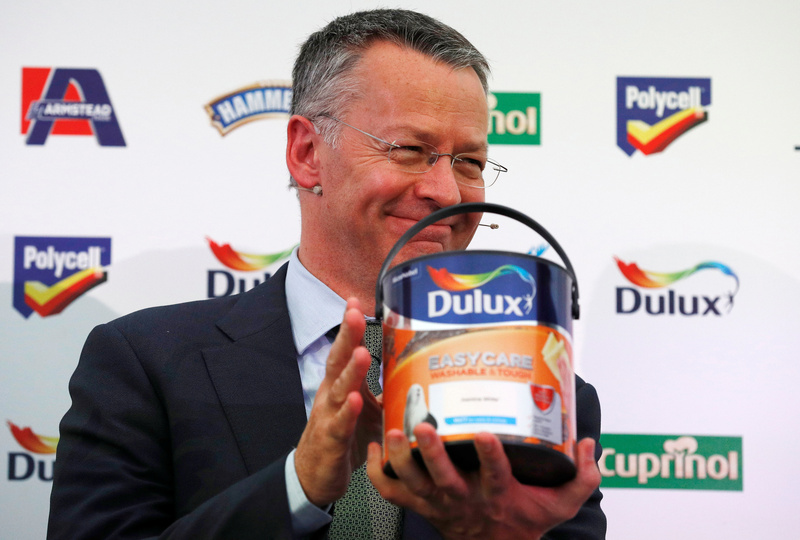 Akzo Nobel, the Dutch maker of Dulux paint, confirmed on Oct. 30 that it was in “constructive discussions” about a “merger of equals” with U.S. rival Axalta Coating Systems. Axalta was originally part of DuPont, the chemicals group that merged with Dow Chemical in September. It was sold to private equity investor Carlyle in February 2013 for $4.9 billion, and subsequently listed in New York in November 2014. Akzo in June deflected a takeover approach from U.S. rival PPG that was strongly supported by investor Elliott Advisors. The company is now planning to split into two businesses: one making paint and coatings, the other speciality chemicals.